Australia’s home-grown creative, professional and honest business to business branding service. We provide graphic design, signage and printing services Australia wide and offer unrivalled service on all our work. We understand deadlines, and won’t promise one we cannot meet. Under promise and over deliver, always. We understand the importance of great design, and what it takes to stand out. We approach every project with a simple philosophy – to create powerful and effective visuals that ultimately make your business money, when our clients are achieving results from visuals we create, that encourages a continuing business relationship that involves both parties, ultimately growing our business at the same time as assisting the growth and further development of yours. If you win, we win too. It is our absolute priority to ensure whatever it is you are approaching us for that we exceed expectations. Day-in, day-out, we approach our projects with this simple 3 step process. 1) Listen, learn and understand the clients business and objectives. 2) Offer the best possible solution based on budget, intended outcome and most importantly, impact to the target market. 3) Achieve the BEST possible result for our clients. Stepping into 2018 we launched our online store that you see before you now, made live at https://www.design2print.com.au – fun fact: the ‘s’ that follows after the HTTP in the URL stands for SECURE, which means a secure connection to the domain and a secure checkout experience when ordering online. Our newly launched online store is growing in variety of available products day-to-day and we have made all services / products you see in the store available at the click of a finger, type of an email or dial of a phone. All work is created and produced 100% locally in Australia, this means no cheap outsourcing or middle man – you deal direct with us and you get the quality your business deserves. 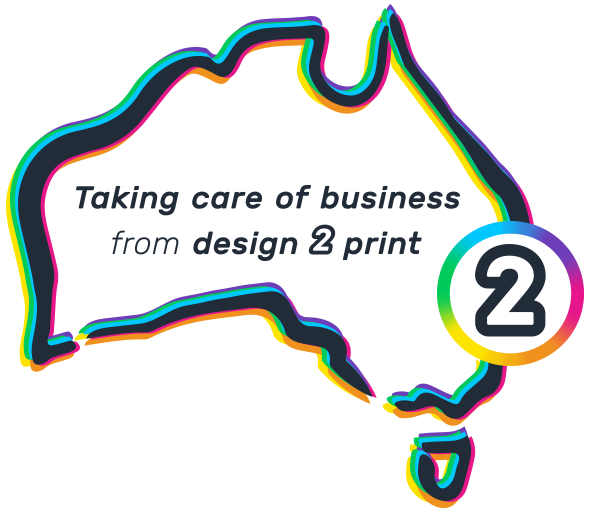 Whether you’re a mechanic, real estate agent, freelancer, small business owner or entrepreneur with too much on their hands – trust us in Taking Care of Business from Design 2 Print, Australia wide. Starting a business? Link hands with D2P to develop a brand that is powerful and works. Already own a business? Order what you need online in a simple process: Choose your product / service > Add your project brief / attachments > Checkout online with safe & secure payment > Receive your professionally finished product. Producing work of only the highest calibre, from Design 2 Print. Fixed Rate $9.95 inc. GST Delivery on most D2P online products. We under promise and over deliver, honesty is the best policy. We are always standing by for phone calls and emails, let’s chat! Utilising modern ‘Gen Y’ design strategies and production equipment.